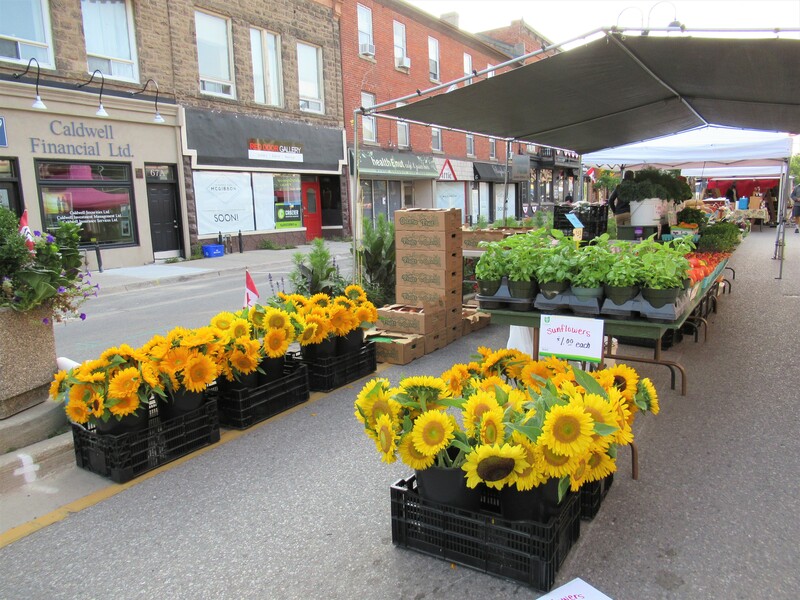 Keep updated on all that is happening around Thiessen Farms! 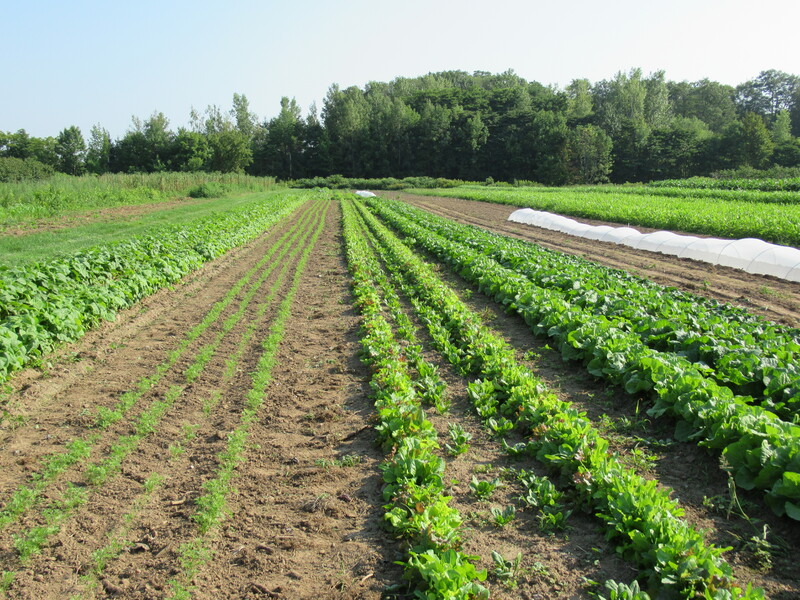 After our morning tour of the farm today (something we do daily, to check on the crops & decide what needs to be done that day …) it was pointed out, that I had not once mentioned, nor moaned or lamented about all the weeds. Of course not! Embrace the weeds is what I always say! And WOW! There are lots to embrace! 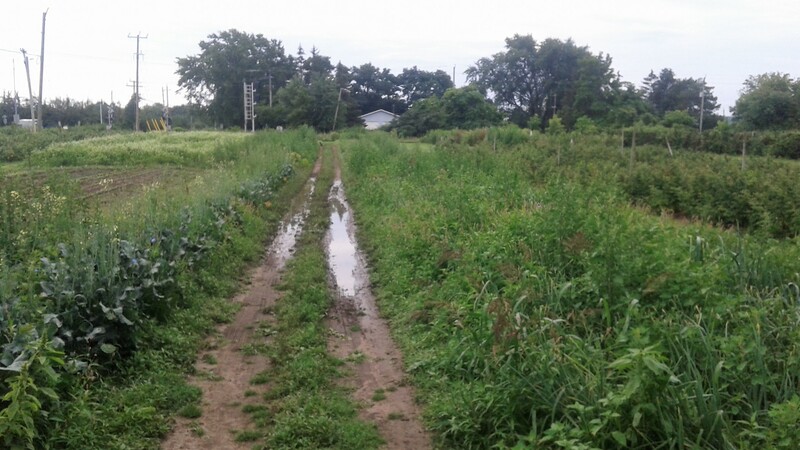 Weeds grow well in most conditions, but this year they are especially prolific. 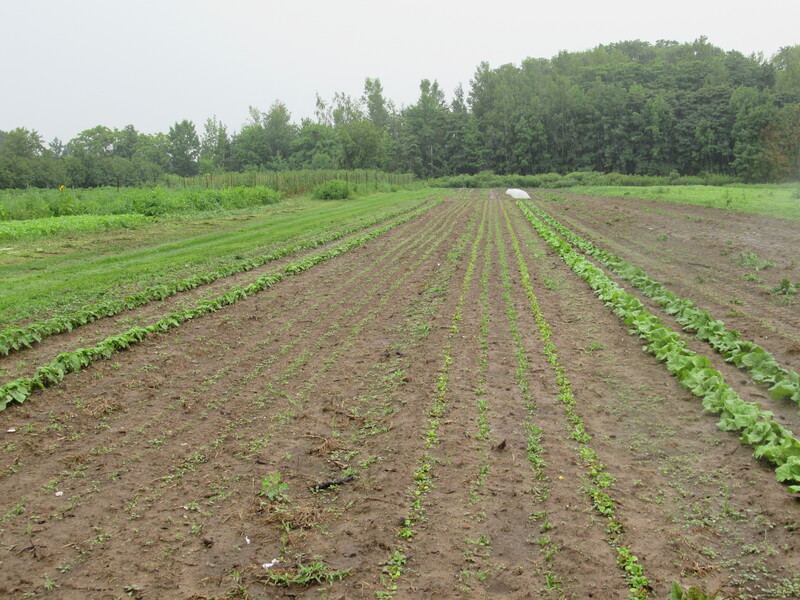 Due to the abundance of rain earlier, and warm temperatures lately, conditions have been ideal for weed growth. 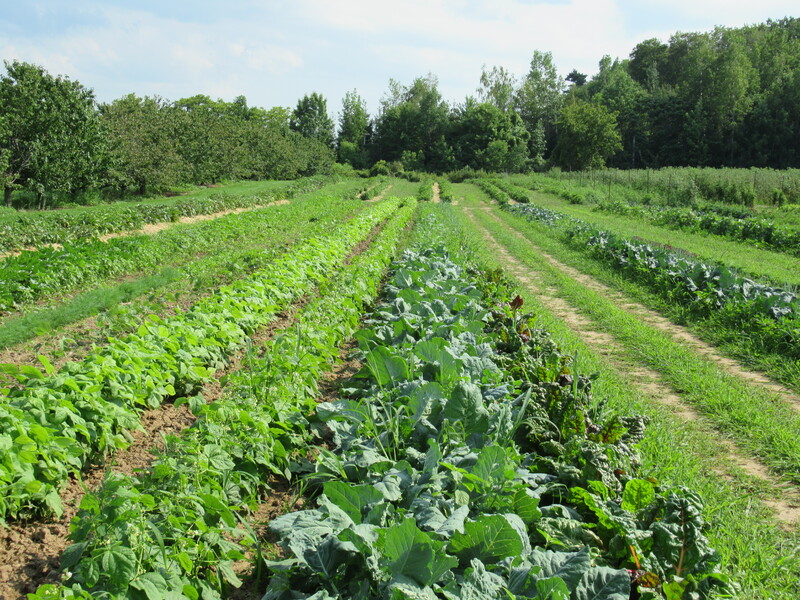 Also, it has often been too wet to get in to cultivate, hoe or even hand weed at times, resulting in more weed pressures. We lost some crops at the start of the season to weeds, but since then we have been handling them ok. A few extra helping hands and timely weeding have gone a long way to keeping things under control. We concentrate our efforts on the new transplants and seeds that have just come up. Minimizing competition from the weeds for space & sunshine gets the seedlings off to a good start. Then if we can’t get to everything, the larger plants can handle the weeds better. And so far, there has been moisture enough for all! 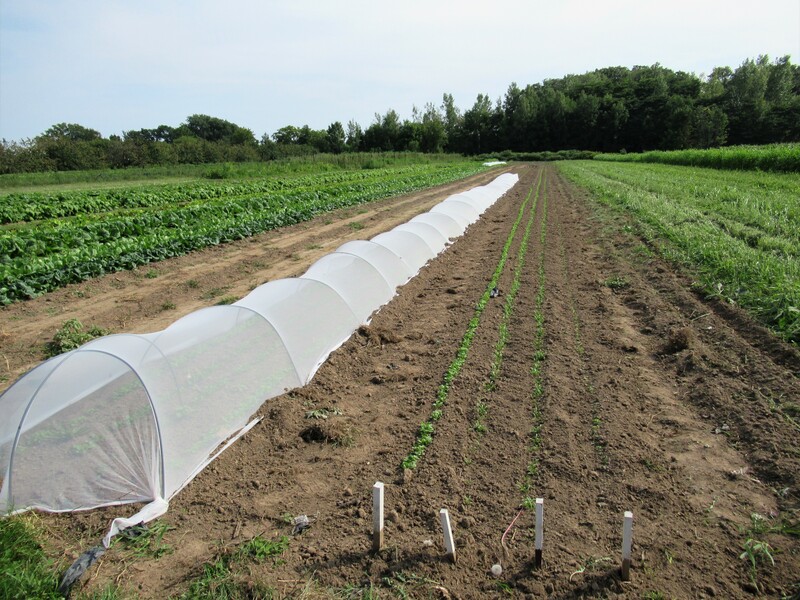 Our newest crops – happily growing weed-free! Carrots – which we have not grown for years because of the weeding required – looking clean. 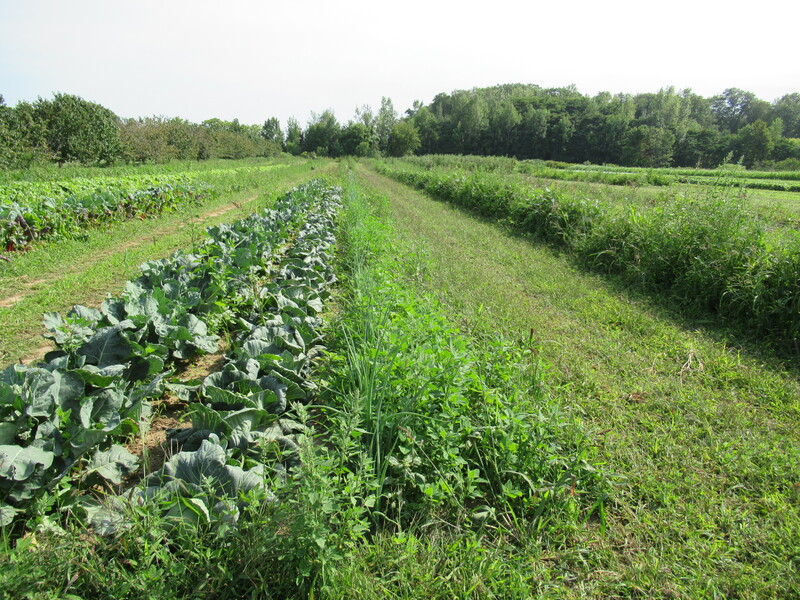 Mature vegetables successfully co-existing with the weeds. Even the onions & leeks which were buried deep under weeds have been successfully saved! The big problem with allowing some weeds to grow & mature, is that they will go to seed, and we’ll be dealing with them for years to come. But that’s next year’s problem. This season we embrace the weeds! 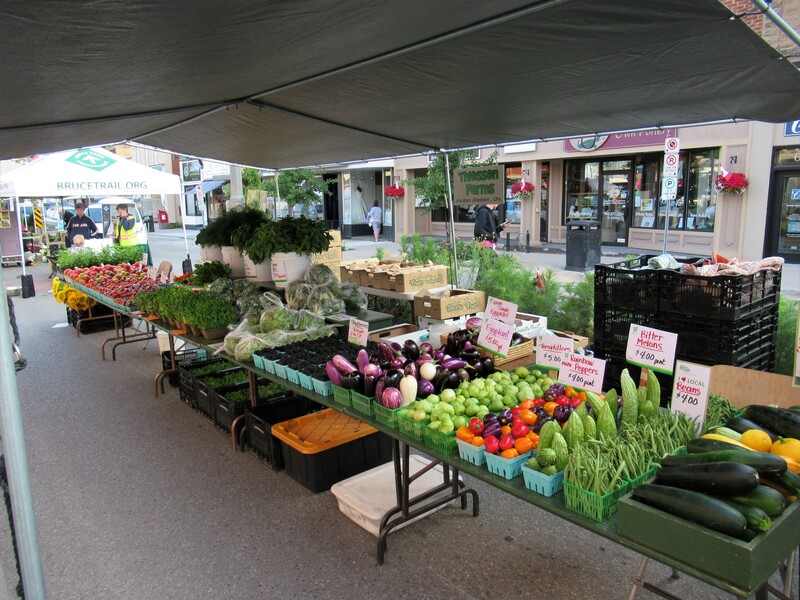 Blackberries, bok choy, beans, fresh basil, tomatoes, lettuce, peppers, onions, garlic. Looks like another big pick of blackberries this week. Enjoy some in your box again! See below for a recipe for Blackberry Lemon poppy-seed Muffins from one of our CSA members (thanks Shelley!). We have a lovely planting of bok choy ready to harvest. Perfect for a delicious stir-fry – maybe with beans, tomatoes, peppers, onions & garlic! A beautiful bunch of basil – perfect for pesto (see recipe below) – is part of your share this week. Choose from lemon basil or regular basil. Summer is salad time – made with our fresh lettuce mix. Preheat oven to 425°F (218°C). Spray a 12-count muffin pan with nonstick spray or line with cupcake liners. Set aside. Make the muffins: In a large bowl, toss the flour, poppy seeds, baking soda, baking powder, and salt together. Set aside. In a large bowl using a handheld or stand mixer fitted with a paddle attachment, beat the butter on high-speed until smooth and creamy, about 1 minute. Add the granulated sugar and beat on high until creamed, about 2 full minutes. Scrape down the sides and bottom of the bowl as needed. Add the eggs, yogurt, and vanilla extract. Beat on medium speed for 1 minute, then turn up to high-speed until the mixture is combined and creamy. Scrape down the sides and bottom of the bowl as needed. Pour the dry ingredients into the wet ingredients and beat on low-speed until just about combined. Add the milk, lemon juice, and lemon zest and continue to beat on low until combined. Fold in the blackberries with a wooden spoon or rubber spatula. They may bleed a little. Spoon the batter evenly into each cup or liner, filling each all the way to the top. Bake the muffins for 5 minutes at 425 then, keeping the muffins in the oven, reduce the oven temperature to 350°F (177°C). Bake for an additional 15-18 minutes or until a toothpick inserted in the center comes out clean. The total time these muffins take in the oven is about 22-23 minutes, give or take. Allow the muffins to cool for 10 minutes in the muffin pan, then transfer to a wire rack and drizzle with glaze. Muffins stay fresh stored in the refrigerator for 1 week. For the glaze: Whisk the confectioners’ sugar and lemon juice together. Drizzle over muffins. Gradually add 1/3 – 1/2 cup olive oil while the food processor is running. Once it is a thick paste you’re done! Freezes well in ice-cube trays. Once frozen, pop out and freeze in baggies. Take out one or two at a time to use in your recipe. 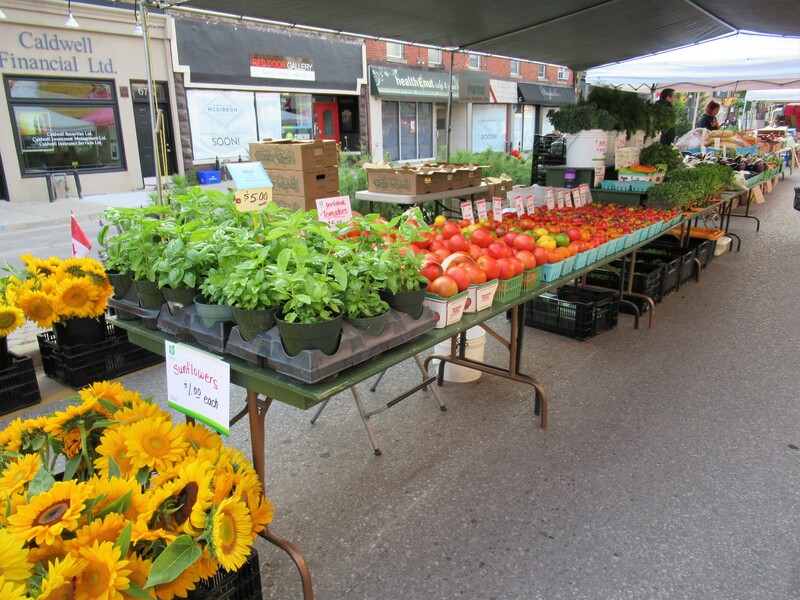 A few pictures from Saturday’s market in Georgetown. It’s a beautiful, bountiful & colourful time of the year. Categories: CSA newsletters | Permalink. Here’s a picture of our tractor & sprayer. I used to spend more time on this equipment, back when we grew peaches, pears, cherries … and all the other tender fruit. Now that we are concentrating on vegetables, I don’t use the sprayer much. 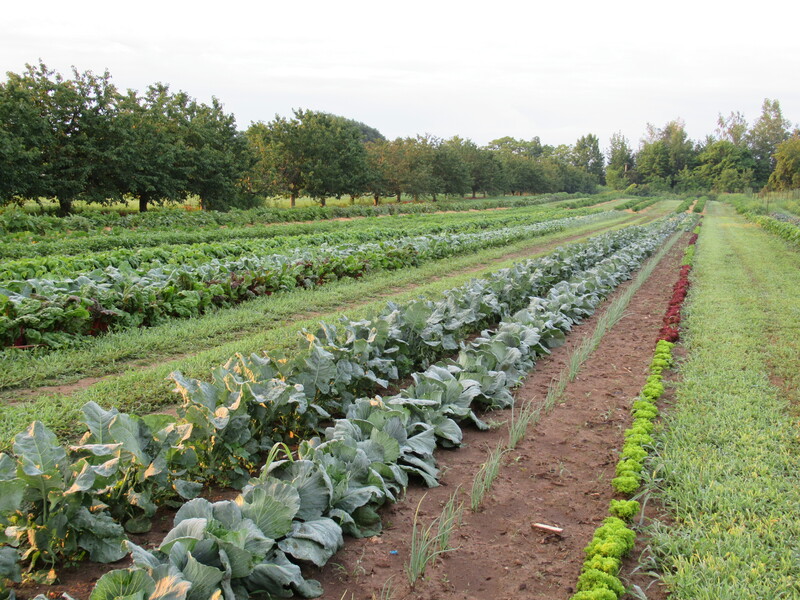 We try to grow our crops without the use of pesticides, whether organic or chemical. 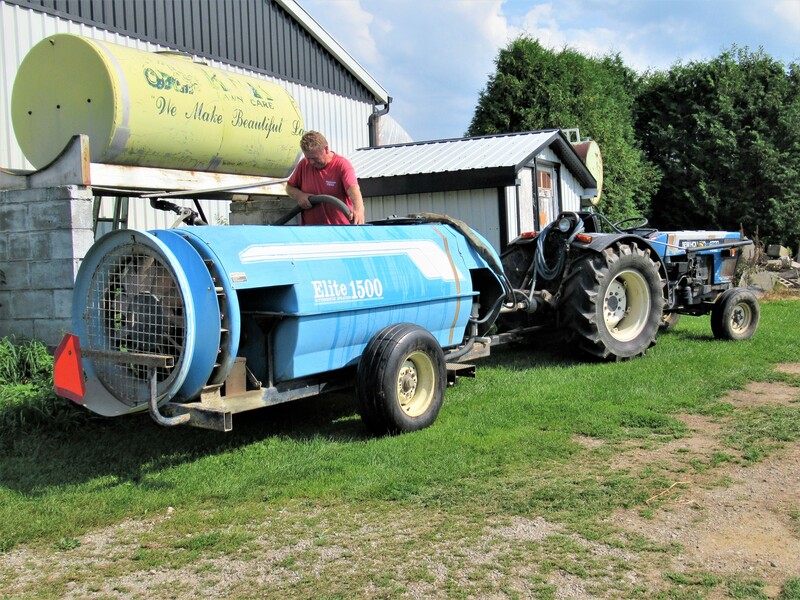 Now I mostly use the sprayer for watering – transplants when we put them in the ground, or crops when it gets really dry (like last year – not this year!). However, we will use the sprayer for its intended purpose – to spray pesticides – when we feel it is necessary. After our first 2 hail events earlier this season, I did apply a fungicide on our tomatoes to try & prevent or at least slow down blight & other diseases. We also spray our blackberries. For many years we did not. That was one of the good things about growing blackberries – no spraying necessary! Then along came the spotted wing drosophila. 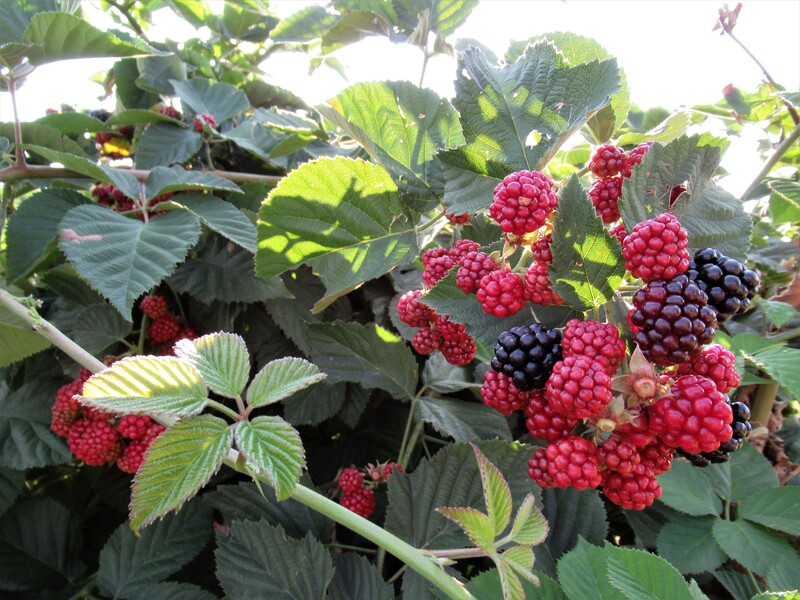 Spotted wing drosophila is an invasive vinegar fly that has the potential to cause extensive damage to many fruit crops (especially soft fruits like berries and dark coloured fruit like blackberries). In the last few years it has been found throughout much of southern Ontario along with most of the fruit-growing areas of North America. 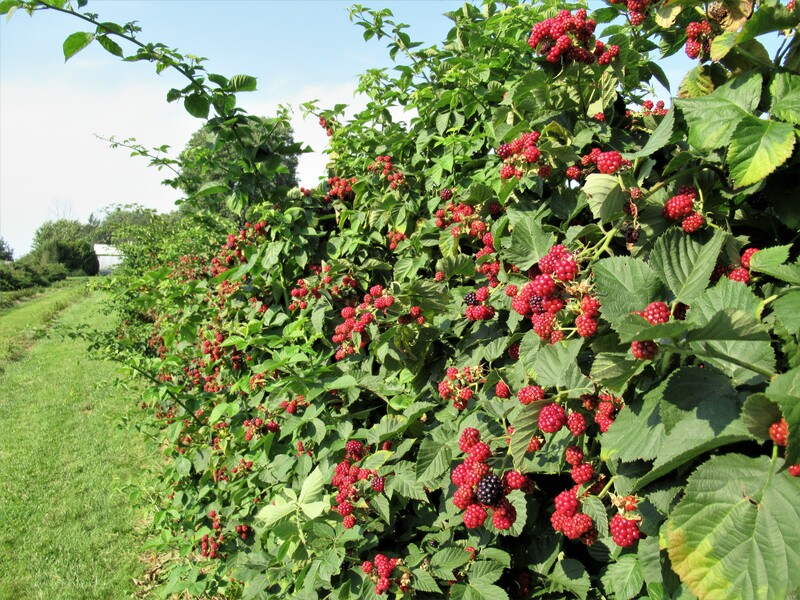 It has become a chronic pest in berry and tender fruit crops in Ontario. Effective biological controls are not yet available. There are cultural practices that we use to help reduce the insect populations, but the only effective control right now is chemical. And so we spray regularly to try to kill the spotted wing drosophila and protect our blackberries (and elderberries). We would rather not! 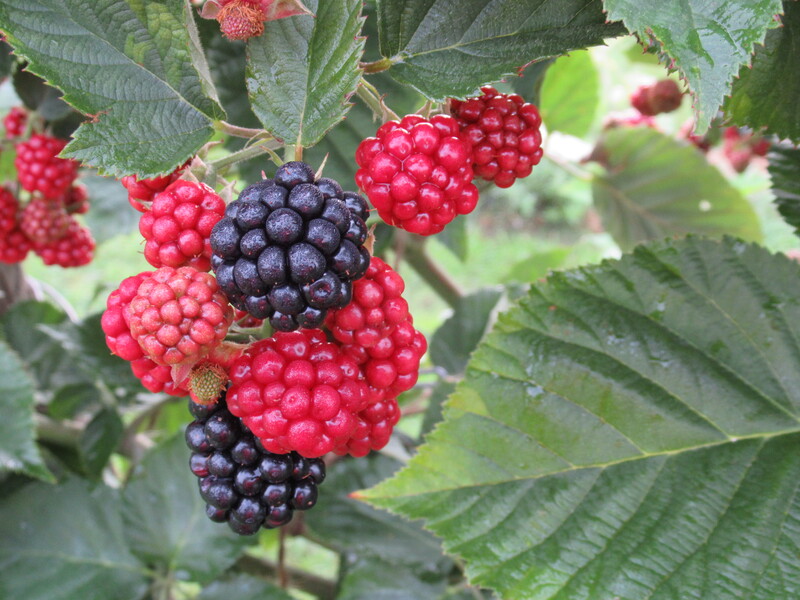 But then again, we would rather not have worms in our blackberries – would you!? Blackberries, kohlrabi, green beans, lettuce, peppers, tomatoes, onions, garlic. A new row of green beans is ready. The quality is great – the quantity not so much. For years we have grown the same variety of green beans, but this year we tried a new kind that promised to be easier to pick with most of the beans held on stems above the leaves. Indeed they are a treat to pick, but unfortunately they don’t produce as heavy a crop. 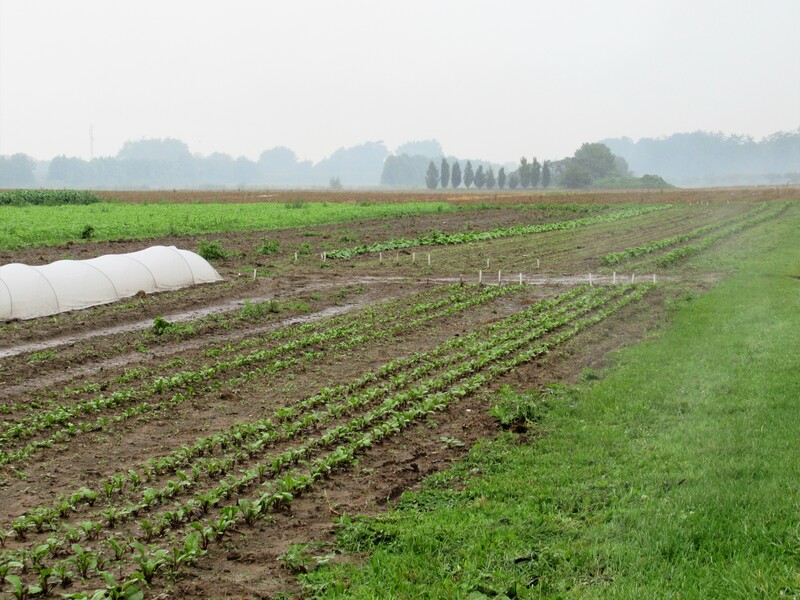 For our next planting, which should be ready in a week or 2, we have returned to our old faithful green beans – harder to pick, but better production. Live & learn! 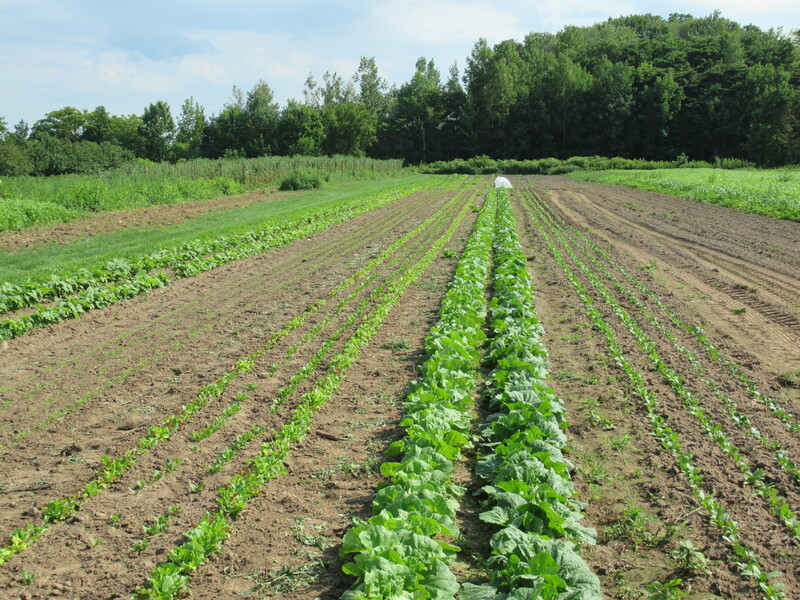 A new crop of lettuce mix is also ready. Enjoy it in a fresh salad along with the other contents of the box – peppers, tomatoes, onions & garlic. 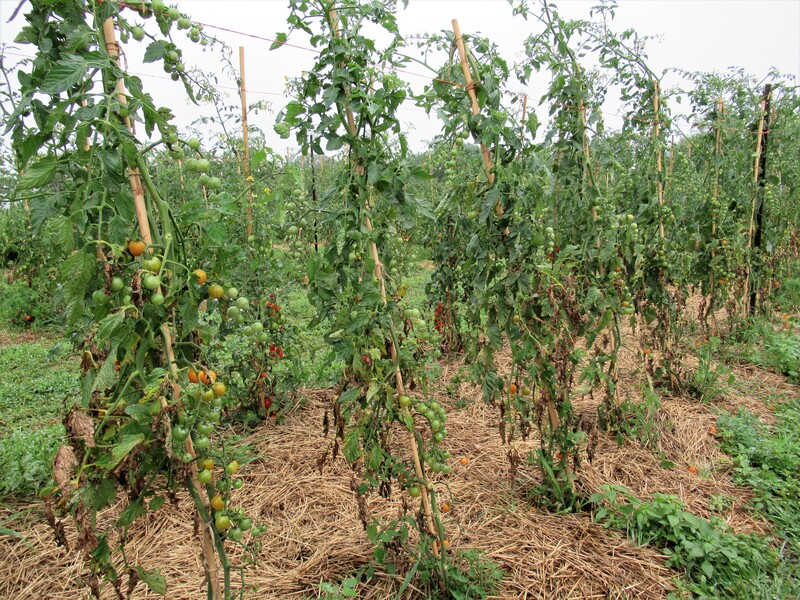 – tomatoes struggling to outgrow the blight. 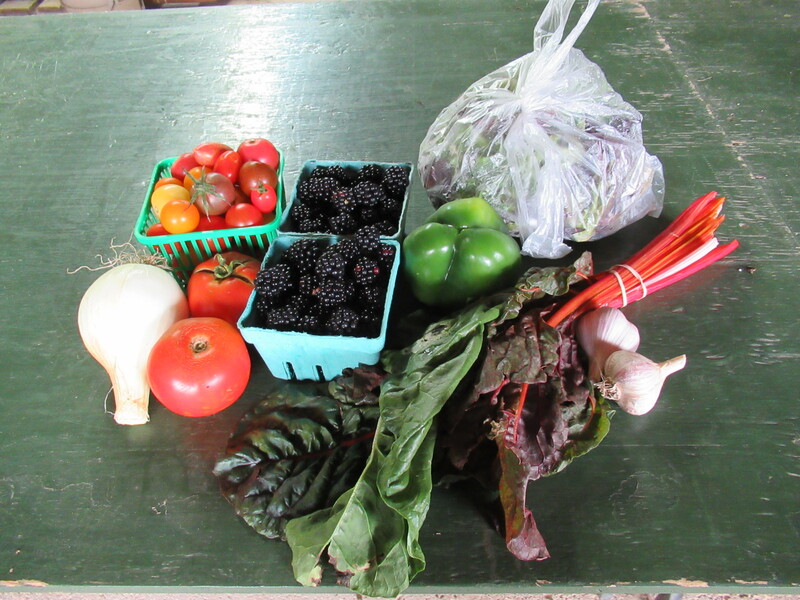 Green peppers, Swiss chard, blackberries, tomatoes, lettuce, onions, garlic. The peppers are hanging thick on many of our pepper plants – but they sure are slow to change colour! So rather than wait for them to turn red, orange, yellow … we’ll pick some green peppers this week. Swiss chard is a beautiful & delicious leafy green – but not that well-known. The stems come in a rainbow of colours – white, red, pink, yellow & orange. The wrinkled leaves can hold a lot of dirt & grit so they may need several washings. The simplest way to prepare them is to just wilt them in the saute pan then season with oil, butter and salt & pepper, and enjoy. I have included several simple recipes using Swiss chard below. After a pleasant & warm weekend, we had an amazing pick of blackberries today. Enjoy a larger taste of these sweet & tart berries in your share this week. Store them in the fridge uncovered and eat them within a day or two. We’re finally picking some larger beefsteak tomatoes along with the cherry types. Tomato sandwiches anyone? 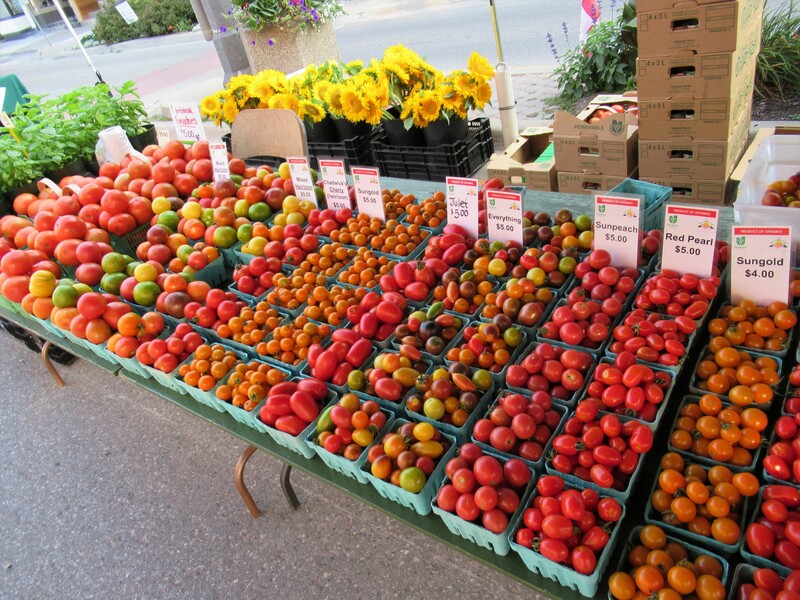 Find all sizes of tomatoes in the box this week. 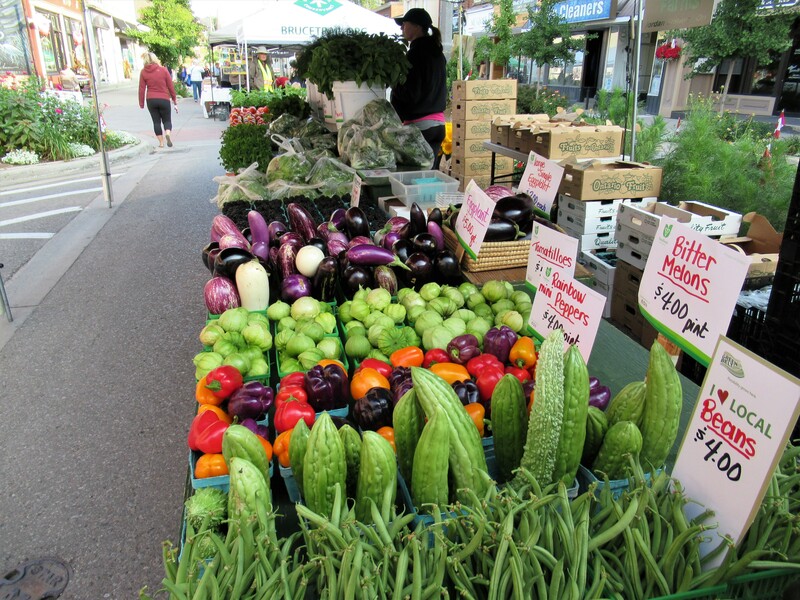 Lettuce, onions & garlic continue to be a part of the share again this week. Cook quinoa according to package instructions. Set aside on a serving platter. In a large saute pan over medium heat, warm the olive oil. Saute the Swiss chard stems and shallots until soft, about 3-4 minutes. Add the tomatoes and saute until they have lost their firmness. Add the garlic and Swiss chard leaves and continue to saute until the leaves have softened. Bring a small pot of water to a boil. Add 2 cups chopped chard stalks and boil for 5-10 min. Drain well, squeezing out any excess water, and add the stalks to a food processor, along with 2 cloves of garlic, 1/4 cup tahini, 1/2 tsp salt and juice of one lemon. Pulse continuously until dip is slightly chunky. Serve with a generous swirl of oil on top and sprinkle a handful of chopped parsley if desired. 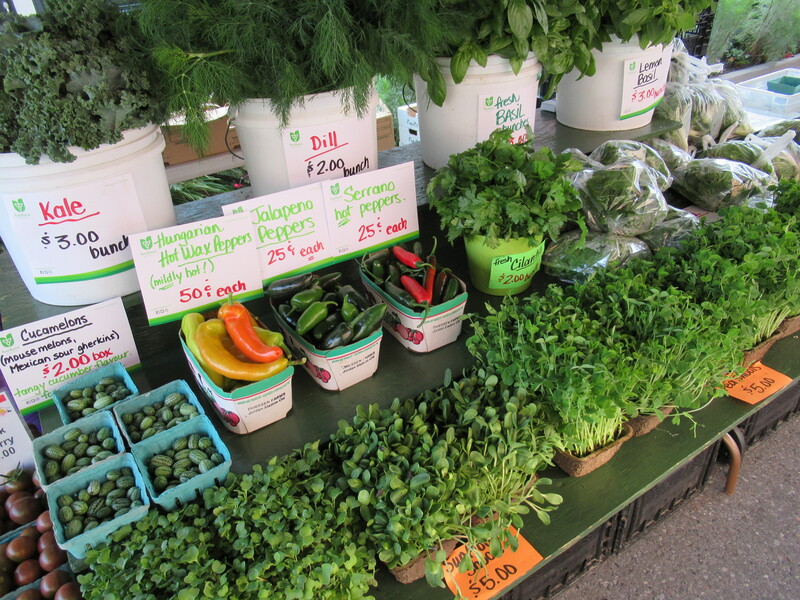 … carrots, lettuce, spinach, Chinese cabbages, bok choy. 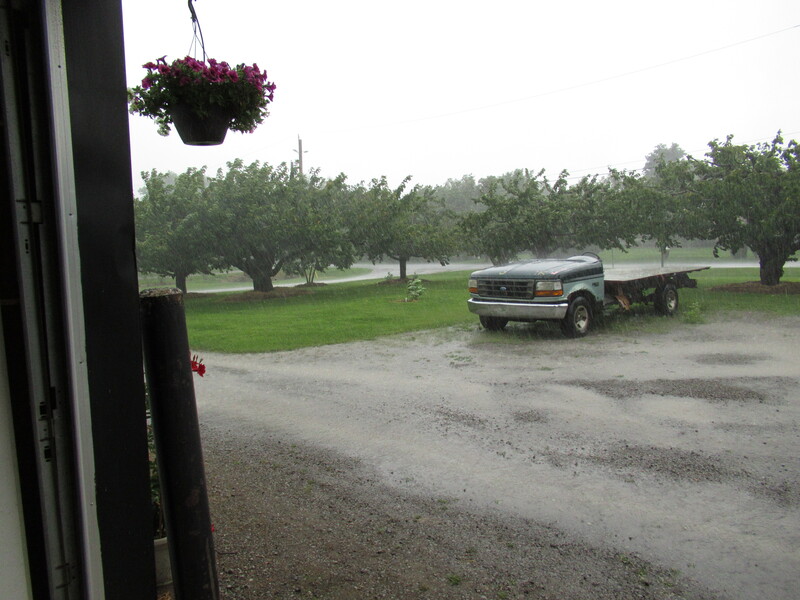 … 5 days out of the last week had rain (and it hailed twice)! 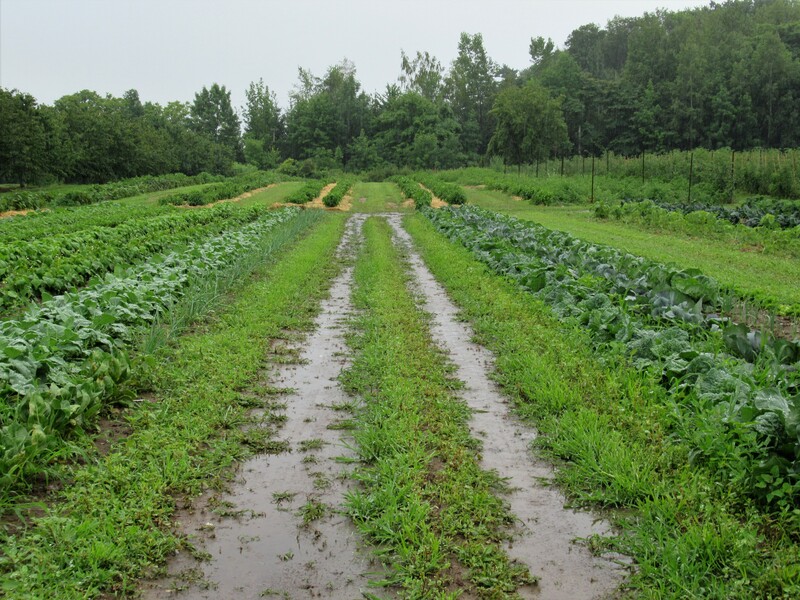 You know it’s wet … when you no longer lament all the vegetables that are diseased, rotting & dying, but instead are amazed (and thankful) at those vegetables that are still looking healthy & doing well. Blackberries, tomatoes, beans, beets, garlic, onions & zucchini. The first taste of blackberries is in the box this week. 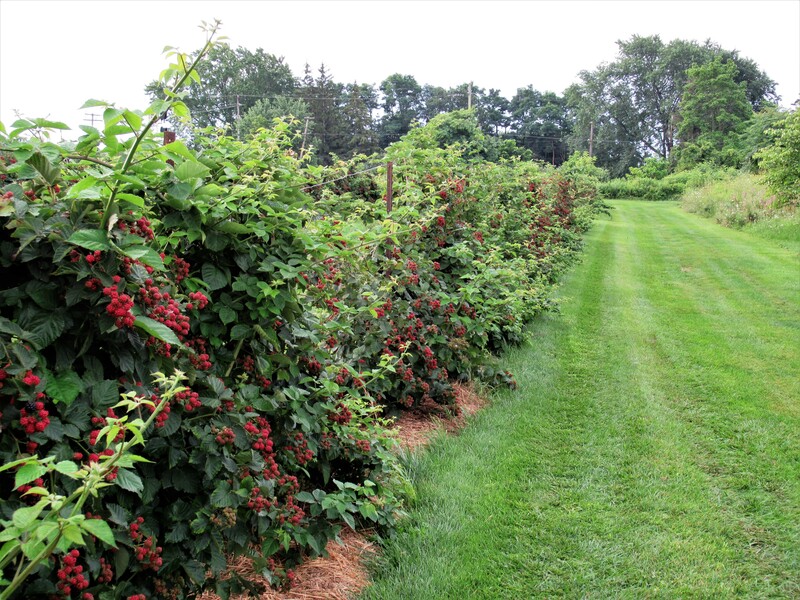 We only have 2 rows of blackberries – but they are one of our most important crops. 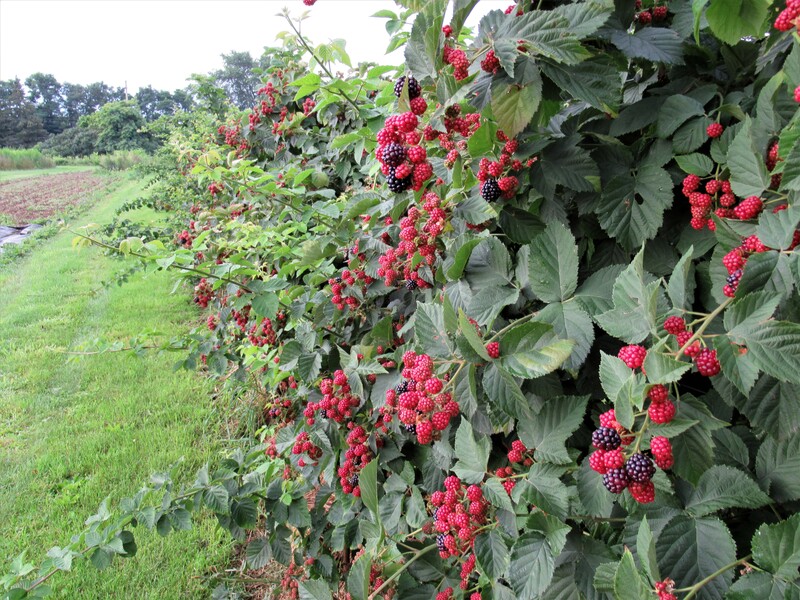 This season especially, we are hanging our hopes on the blackberries. 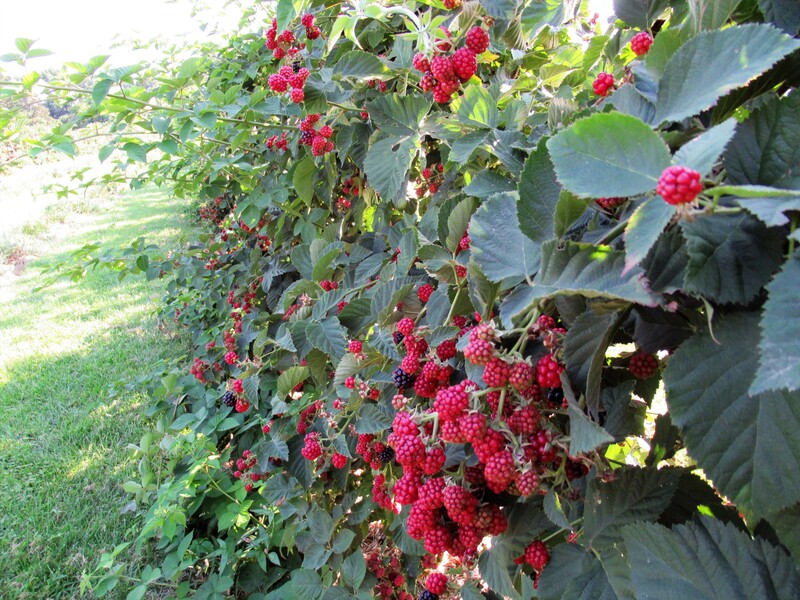 They look outstanding so far & we’re optimistic that the harvest will be long & fruitful! 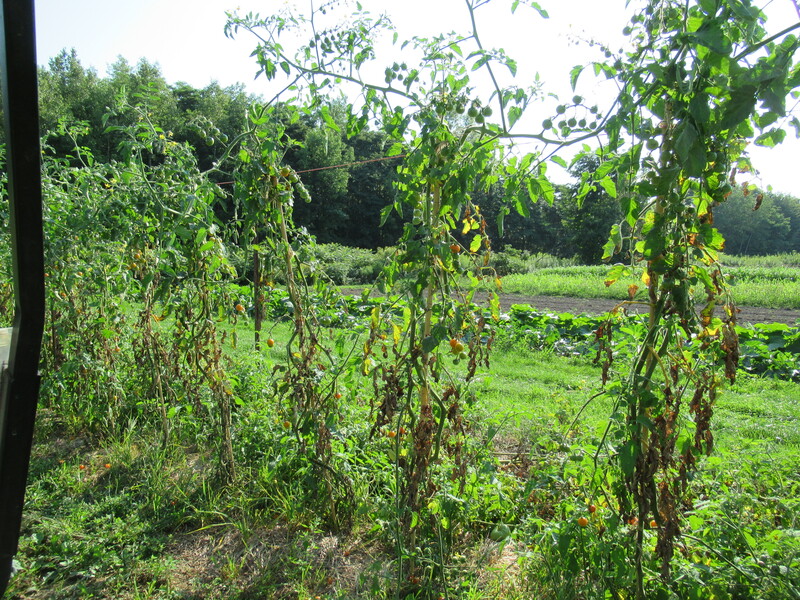 As mentioned above, the tomato plants are failing rapidly even though we have barely begun the harvest. Fingers crossed that their growth outpaces the diseases and they keep producing – at least for a while. Find some cherry tomatoes in your share & perhaps a larger slicing tomato as well. The beans this week will be mostly dragon’s tongue – a flat, yellow bean with purple stripes. We started growing these beans years ago, because of the name & their beautiful looks. We continue to grow them for their great taste – better than any green bean in my opinion! We are cleaning up the first planting of beets. The size might be varied, and the greens are not too good anymore but the beets still taste good. The next patch is ready & will have some yellow beets too. 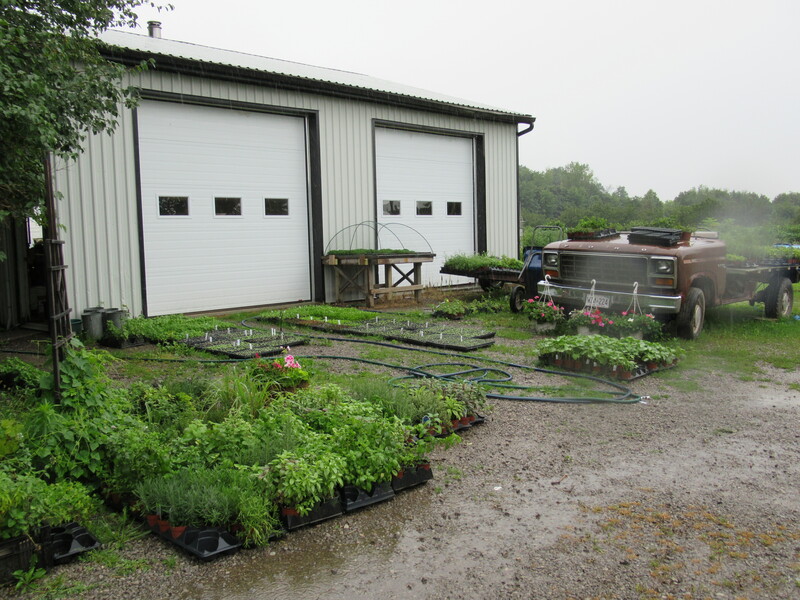 The final planting – we just transplanted them last week – is growing well. It includes dark red beets, yellow beets & the candy-striped beets. So there should be beets on & off for the remainder of our CSA program. How was the fresh garlic? We are including another bulb this week. Remember – it is not yet dried. Store it at room temperature in a spot with good air circulation. 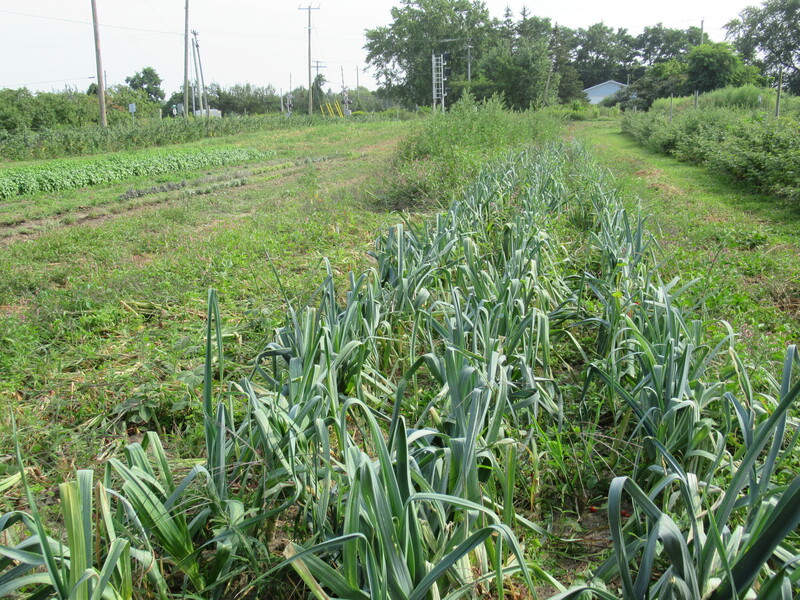 Onions grow best in sunny, moist, weed-free conditions. We’re doing really great with the moisture, so-so with the sun but very poorly with the weeds. The result is that the onions are not getting much bigger. 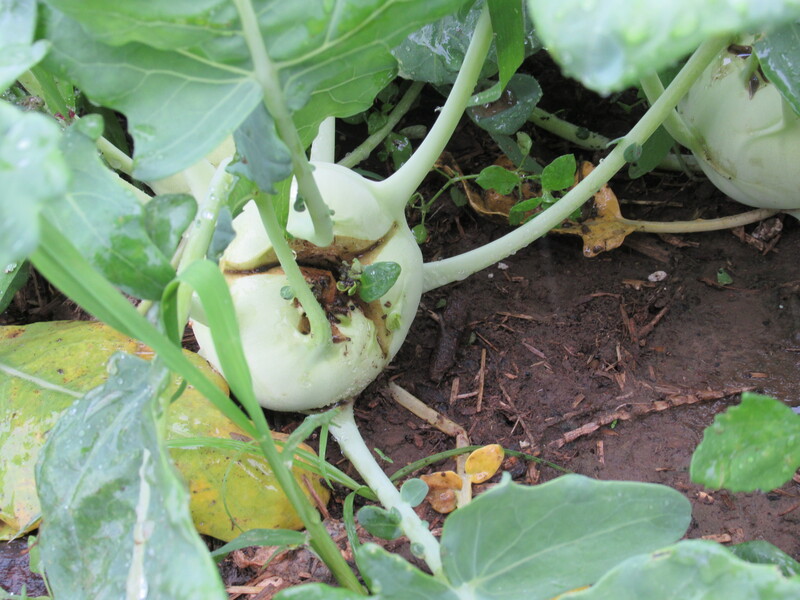 But we have lots of this very useful & delicious vegetable. The zucchini plants continue to amaze me. While they are producing very few zucchini – most plants have wilted & are dying – many are throwing out new vines with fresh green leaves and even blossoms. Will they turn into fruit or will disease overtake them first? We’ll find out! 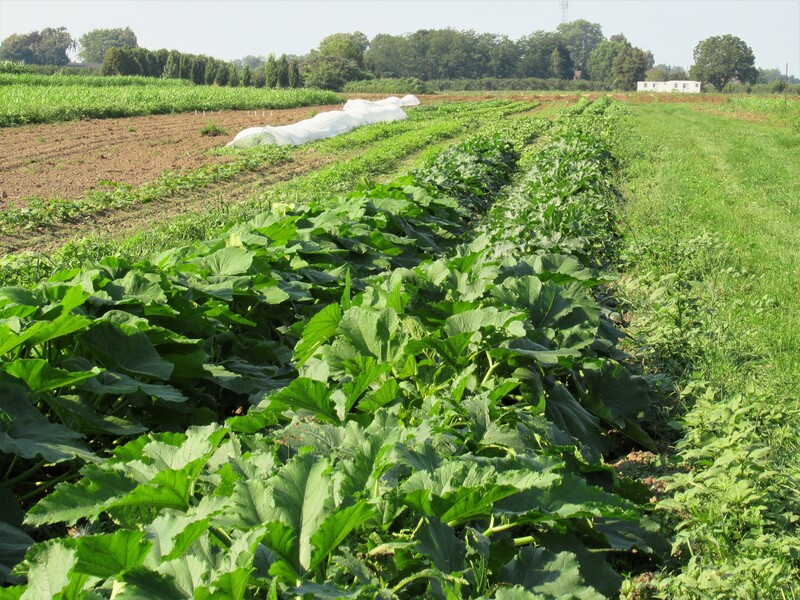 But we do have several new plantings of zucchini coming soon. Please remember to return all containers – big & small – so we can reuse them. Here’s hoping for a warm, sunny (rain-free) week! Enter your email address and click follow to receive new posts by email. 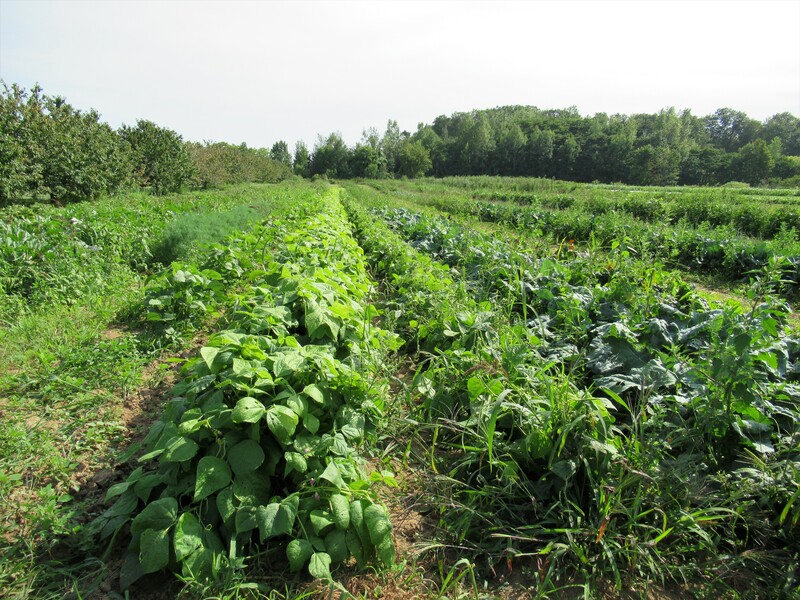 Want to join our CSA? 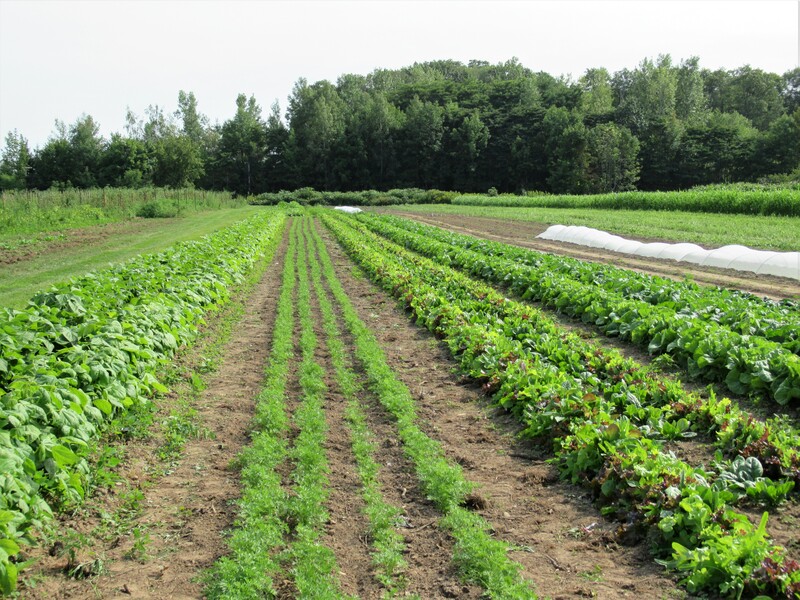 Click here for the 2019 CSA application.